To look at the Russian RadioAstron spacecraft, which launched from Kazakhstan this Monday, it doesn't seem particularly record-breaking. 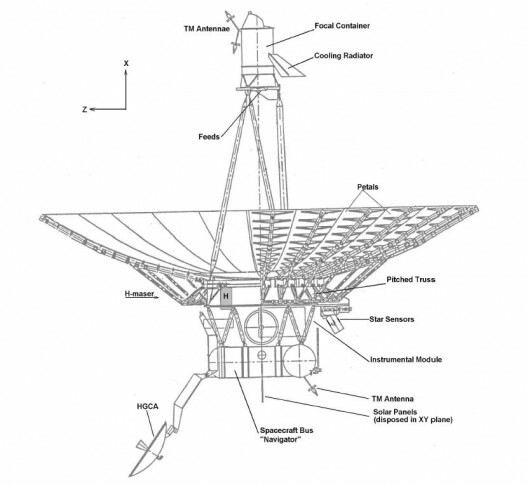 Its 10-meter (33-foot) antenna is certainly no match for those on earthbound radio telescopes, which can be up to 300 meters (984 feet) across. Once in orbit, however, its signal will join forces with those from ground-based telescopes to form one giant virtual telescope. Using a process known as interferometry, they will form the equivalent of a single radio telescope dish that at over 350,000 kilometers (217,480 miles) across is almost 30 times wider than the Earth. Although it's not actually one physical object, it is nonetheless being heralded as the largest telescope ever created. itself is nothing new, having been around since the 1960s. Very basically speaking, it involves combining the output of two or more geographically-separated telescopes to obtain one image with a resolution higher than either telescope could achieve on its own. 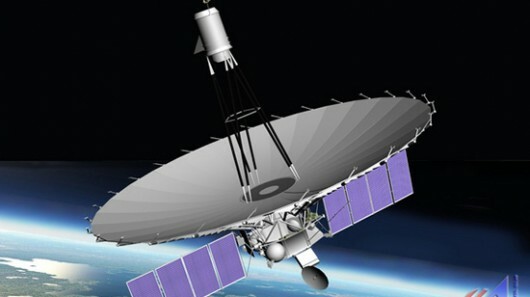 While radio telescopes have been sent into space for this purpose before, the plan is for RadioAstron's oval-shaped orbit to take it up to ten times farther than any of those other spacecraft have traveled, at 10,000 to 390,000 kilometers (6,214 to 242,335 miles) from Earth. Working with telescopes in locations such as West Virginia, Germany and Puerto Rico, it should be able to capture details at 10,000 times the resolution of the Hubble Space Telescope. Plans for its use include the observation of a huge black hole at the center of a nearby galaxy, M87. Although already launched, it will still be a few months before the spacecraft reaches the starting point of its orbit, and then goes through a check-out period with its ground control team at Russia's Lebedev Physical Institute Astro Space Center. Once it starts receiving and transmitting data ... well, there will be a lot of it. It's estimated that RadioAstron will be taking in up to 144 megabits per second, which will be continuously relayed to the ground. So far, however, there is only one 22-meter (72-foot) dish set up to receive that data, near Moscow. This means that much of the data will simply be lost. It is hoped that throughout RadioAstron's five-year mission, more receiving stations can be set up.